Workflows are a series of task statuses that indicate how the project is evolving and the state of the tasks. 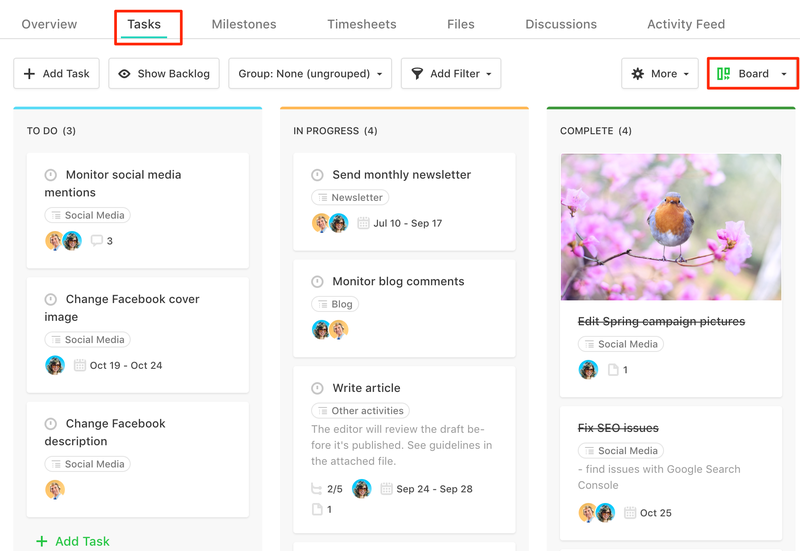 By moving tasks from one column to another, you mark the current state of that task based on the project's different stages. Paymo provides a Default Workflow (ToDo, In Progress, Complete). 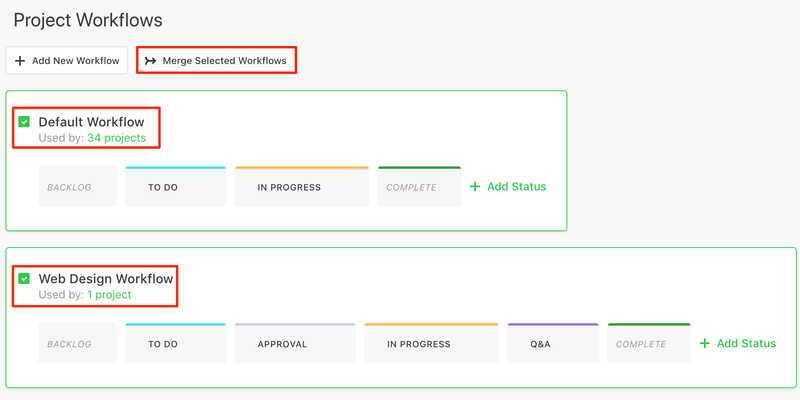 You can set up custom workflows by heading to Company Settings → Workflows → Add New Workflow. Any time you set up a new project you will be prompted to select your workflow without having to re-create it each time. Any changes made to the workflow will affect all projects, including those created before the changes occurred. Workflows can be edited only by the admin users. You can also merge two or more workflows into one by heading to Company Settings → Workflows → Merge Selected Workflows.